Our game-changing Camper 4 is back and better than ever thanks to an improved pole design and bigger vestibules. 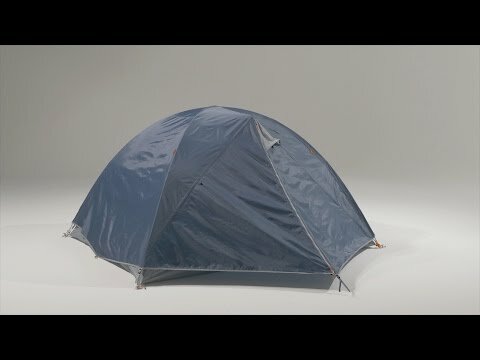 No department-store toy, it’s a real tent for camping and backpacking in real conditions (rain and wind). The secret sauce is the combination of basic aluminum poles and inexpensive yet functional fabrics. It's well designed, uses quality construction and is offered at a stellar price. Classic, wind-stable, crossed-pole wedge shape with a spreader pole that gives you lots of headroom and interior space. Twin doors and vestibules with hooded vents provide gear storage for 2 people, and a way out in the night without waking each other up. 40-denier polyester mesh used throughout. Fly has laminated double-layer reinforcements behind guy out points and in areas where the pole touches the fly. 2 mesh internal pockets hold headlamps, glasses and other nighttime essentials. Includes 8 wire pegs and a tent pole repair splint.